Ever wondered what happens in my vocal coaching sessions? If you’ve never had a vocal coaching session, it can be daunting when you don’t know what to expect. I thought I’d share a little bit about what I do in my vocal coaching sessions. Our first point of contact is an introductory chat to get to know each other and for me to find out what it is that you’re wanting to work on to make sure that I can give that to you. You book a 15-minute chat (using my online booking calendar) which we can do via Skype or on the phone. 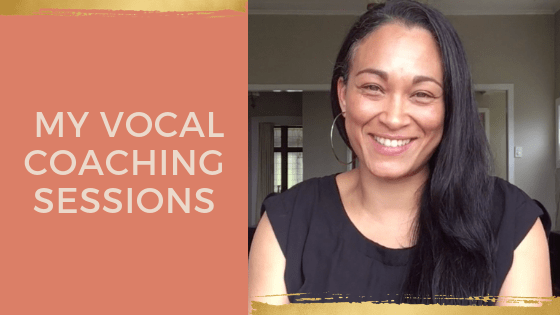 I call you, we have a quick chat and it gives you the opportunity to ask me any questions that you might have about vocal coaching and about what I do. There is a really clear curriculum for both my vocal coaching and my artist development programs but what I like to do is give you what you need first. You pick the three things from the curriculum that excite you the most and we usually tackle that first. I have an online artist questionnaire that allows me to see what are you doing for vocal care & general well-being, what your lifestyle is like and what you are currently doing in your vocal practice both for performance and from an artistic perspective plus what your goals are for your voice. Need help with setting your singing goals? 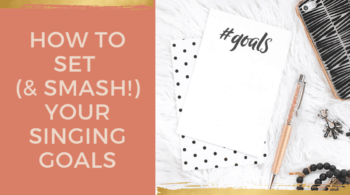 Check out this post on how to set & smash your singing goals. There are a number of ways that we can work together. A Song Study review is a pre-recorded option. It might be a song that you’re working on that you want coaching for. Record yourself to camera singing that song and then I give you feedback in real-time. You send me the video recording, I pop it into a program that plays your video and records my screen. I can stop the video, rewind it and play it back whilst giving you instruction and feedback on what you’re doing in that moment. See it in action here, I’m critiquing myself! I find video an amazing tool to use in coaching and it’s something that I was opened up to when I had to do my training which I did online via Berklee. Berklee is in Boston, Massachusetts so the only way I could submit my assignments was via video. 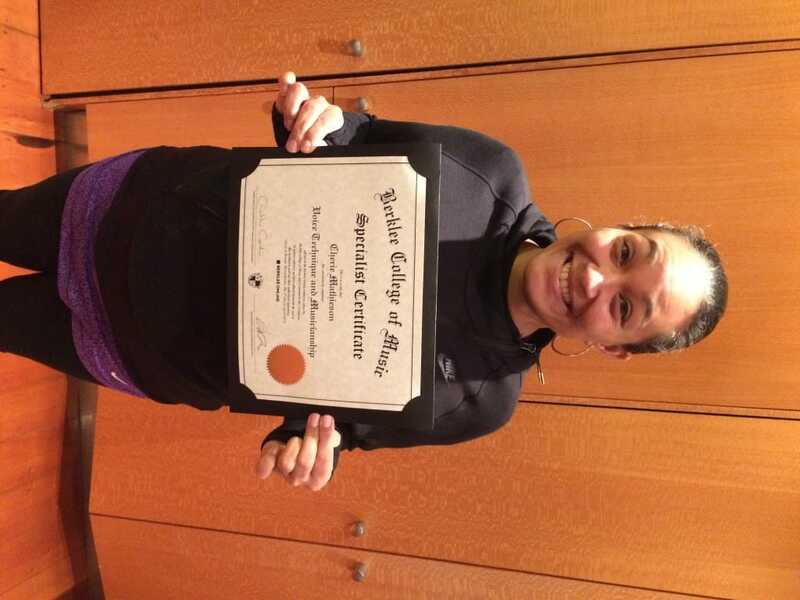 It was an eye-opener and very helpful to developing my voice. Every coaching session that I do, whether it’s in-person or online, is video and audio recorded. Not only do you get the opportunity to document your progress (which you can repurpose as behind the scenes footage in a mic video or a doco about your life when you have blown up!) but you also get to watch back completely free of having to think about what’s going on in the session. Watch from a different perspective, from outside yourself, to see what you’re doing and the nuances that you have vocally. Good & bad! This was a key discovery for me when videoing myself and it helped me so much. You also get the opportunity to review over and over again and practice any techniques that we’ve gone through. Online coaching sessions are done via Skype. I do online sessions for my clients that are overseas, when they’re touring, out of town or we just can’t get a session together at the same time. Everything is the same as an in-person coaching session but tools that you need are either a phone or a computer that has a great connection to the internet and a really good camera. It helps if you have an opportunity or a space where you’ve got sound isolated (rehearsal space, lounge room when no-one is home, garage, car or bathroom!). You can also use a headset with the microphone attached to it like Apple headphones. That will make sure that you get the best out of the online coaching session. In-person coaching sessions are done either at my home in my lounge room, which is relaxed and very comfortable, or at a studio that I hire. There are different sessions available when you’re starting out with me. With vocal coaching I like to do 90-minute sessions. It sounds like a long time but it goes very quickly. The first 15 minutes is a chance for us to catch up, settle into things and talk about what has happened since our last session. 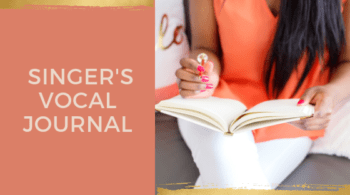 I’m a massive fan of journaling and have a Singer’s Vocal Journal that I offer up to my students. It’s a chance for us to review what you’ve been doing in the week or weeks leading up to our sessions. We use the bulk of the session, (about 60 minutes), to learn new techniques or sing through and implement those techniques. The last 15 minutes is an opportunity to ask any questions, share music, chat about anything that’s on your mind and to plan for our next session. I also have a 45 minute session. This works best for implementing or singing through your songs. We will have covered all the fundamentals in advance which usually takes about four 90-minute sessions. The goal is to give you a toolkit that you can use to create any sound in any style that you want, safely with your vocal health, wellbeing and longevity being the priorities. 1. Keep Your Voice Healthy – learn what to do & what not to do to look after your voice. 2. 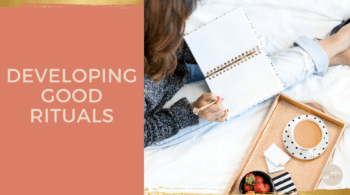 Daily Rituals – 3 things you NEED to do every day to wake up your voice & keep it in tip top shape. 7. Sound Creation – Making sound safely & consistently – learn techniques to preserve your voice & create your signature sound. My goal is to be your greatest cheerleader and your coach. However, everything lies with you and the effort you give to developing as an artist. I’d love you to feel 100% confident about any sound that you make. I’ll give you my opinion about how I think it sounds, but what prefer to focus on getting the vocal health strong and technique strong, then leave the artistry up to you. 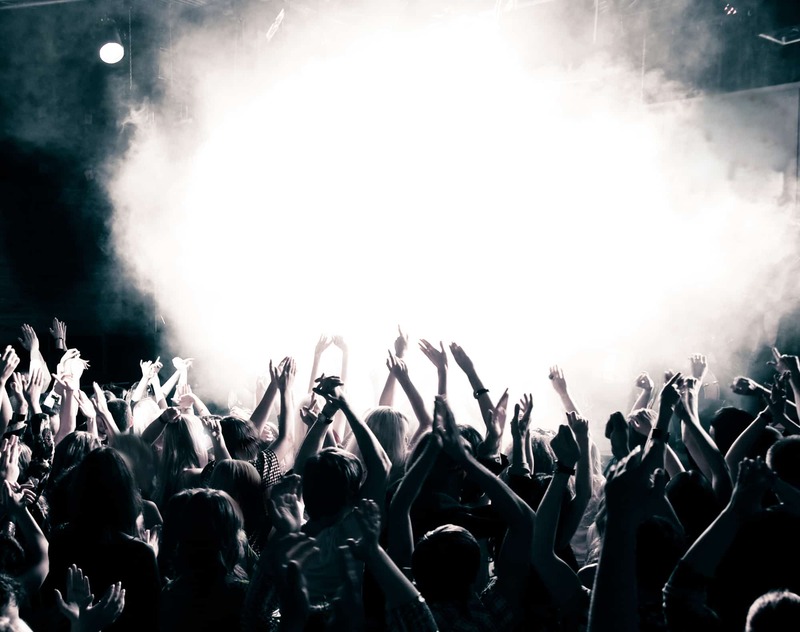 I have clients that are more established artists who are professional musicians, that will come and check in with me, specifically in the lead up to any high intensity singing opportunities like touring or a if they have a show that is important that they want to nail. We’ll go through a 30 day program of how to Get Gig Fit. That’s my Get Gig Fit Action Plan. Usually established artists are doing everything right on stage. The technique is rock solid and it’s sometimes a reminder to set up support off stage. Making sure that you are getting enough sleep. 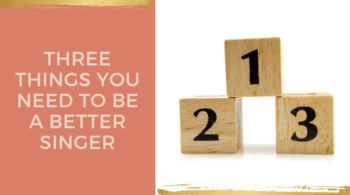 That you’re not stressing, you’ve got your team on the same page as you, you’re moving forward and you know everything that’s is happening so you can keep stress levels low. Touring is often stressful! We also like to review the techniques as well but generally it’s more about checking in with the fundamentals of vocal health & wellbeing. Wherever you’re at, whether you’re an emerging artist or a more established artist you can get what you need. I have a very clear curriculum outlining all of the options. As vocal coach but also for artist development if you’re ready to do more work on your artist identity. Topics such as crafting your signature sound, how you represent your music visually via social platforms and any of the business practices that come along with being a professional musician. If you are interested in vocal coaching with me, book a free intro chat so we can chat about what your vocal goals are and how I can help you. I look forward to hearing you real soon!